Ain Shams University, as the third Egyptian university, was founded in July 1950 under the name of "Ibrahim Pasha University". It participated with the two earlier universities, "Cairo University" (Fua'd the 1st ) and "Alexandria University" (Farouk the 1st) in fulfilling the message of universities and meeting the increasing demand of youth of higher education. 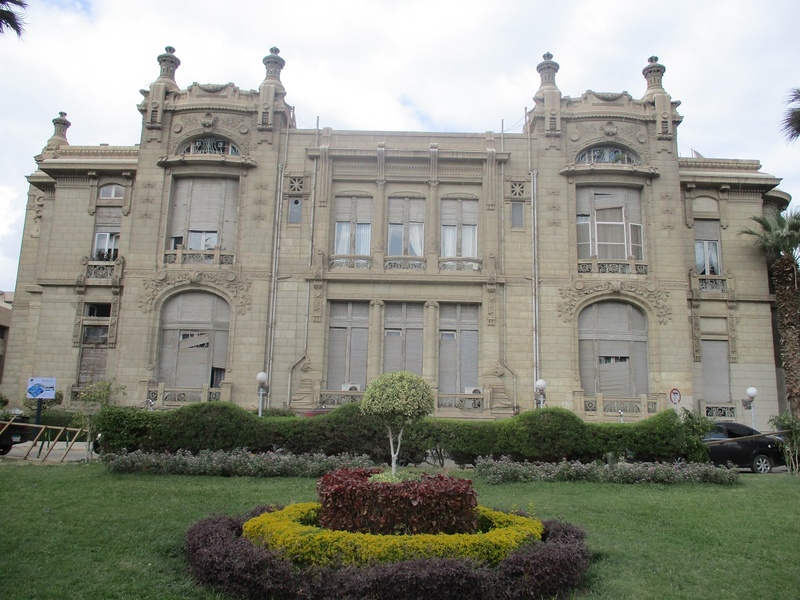 When it was first established, Ain Shams University comprised a number of distinguished faculties and academic institutes, which were later developed into university. After the revolution of the 23 rd of July 1952, it was suggested that Egyptian universities be given names that were strongly linked with the roots and historical landmarks of the country. Thus on 21 st of February, 1954 the name of the university was changed to "Heliopolis", and then changed in the same year to its present name "Ain Shams", the Arabic for "Heliopolis", or "O'n", which was the oldest university in history. "O'n" University was established about 5000 years ago, and it had a wide fame as a center of knowledge and learning, especially in astronomy, engineering and medicine. Perhaps a perfect example of the knowledge and skill of "O'n" teachers is Imhotep, the chief priest, minister, and architect, who in 2700 B.C. designed the first large structure of stone known in history, Zoser's Step Pyramid in Sakkara. Westcar Papyrus also states that the founder of the Fifth Dynasty was the Rector of "O'n" University before ascending the throne. However, the most important achievement of "O'n" University was the call for worshipping a single deity, the solar disk of Aton, at the hands of Akhenaton, who was influenced by the ideas of "O'n" priests. The emblem of the university, the obelisk and two hawks, establishes a link between the name and the ancient history of the university. The obelisk stands for the house of life at the city of "O'n", whereas the two hawks are symbolic of Horus, the Egyptian god at that time. 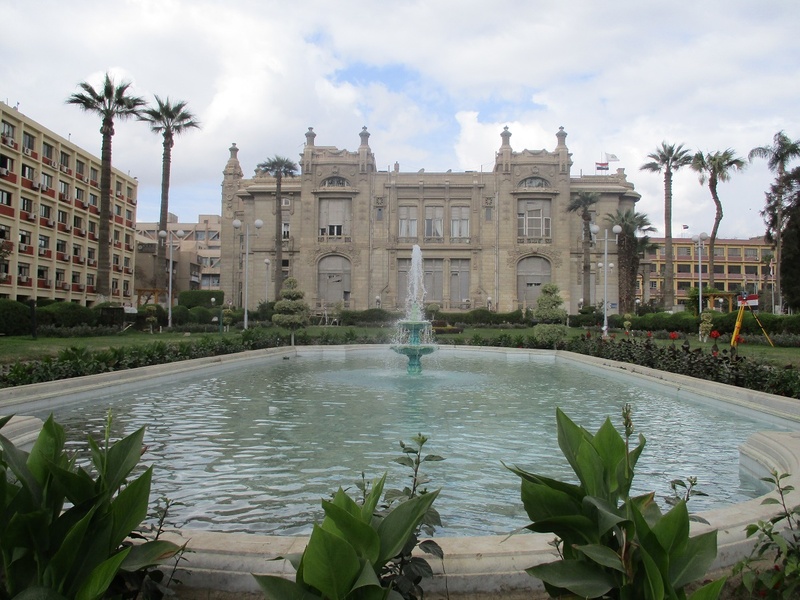 The university is now located in the area of the Zaafaran Palace, built during the regime of Khedive Ismail. The Palace was so named because the area surrounding it was famous for saffron (in Arabic Zaafaran) plantations. The Palace was used to host the administration offices of the Egyptian University when it was established in 1925. It was used by the Ministry of Foreign Affairs (as a guest house) for accommodating important visitors. The palace also witnessed the signing of the 1936 Treaty between Egypt and Great Britain. Finally in 1952, it came to be used as the administrative headquarters of Ain Shams University. Being a major scientific and cultural institution, Ain Shams University is fully aware of these challenges and is certain that it has - with other Egyptian Universities - a difficult hard responsibility for the creation of the generation. That is aware and proud of its identity and traditions and is also ready for the creation of a better future for their country. In fact, Ain Shams University has played an undeniable role in developing the cultural and scientific life in Egypt and enriching human knowledge in general. The university includes 15 faculties and 2 high institutes. In 1950, there were only eight faculties: faculty of Arts, faculty of law, faculty of Commerce, faculty of Science, faculty of Engineering, faculty of Medicine, faculty of Agriculture, and Women's college. In 1969, the faculty of Education, known since 1880 as Teachers' college, became the ninth faculty in the university. In 1973 the faculty of Al-Alsun was made the tenth member in the university. However, the history of this faculty dates back to 1835. In 1994, a decree was issued for the establishment of two more faculties; the faculty of Pharmacy and the faculty of Dentistry, the actual study was started the following year in both faculties. In the same year, it was decided to establish the faculty of Computers and Information Sciences, and the study started the following year. The last faculty to join the university is the faculty of Specific Education, in 1998. Faculty of Nursing was established in 1980, and the Institute of Childhood Postgraduates Studies was established in 1981. The establishment of the Institute of Environmental Research and Studies was at 1982. 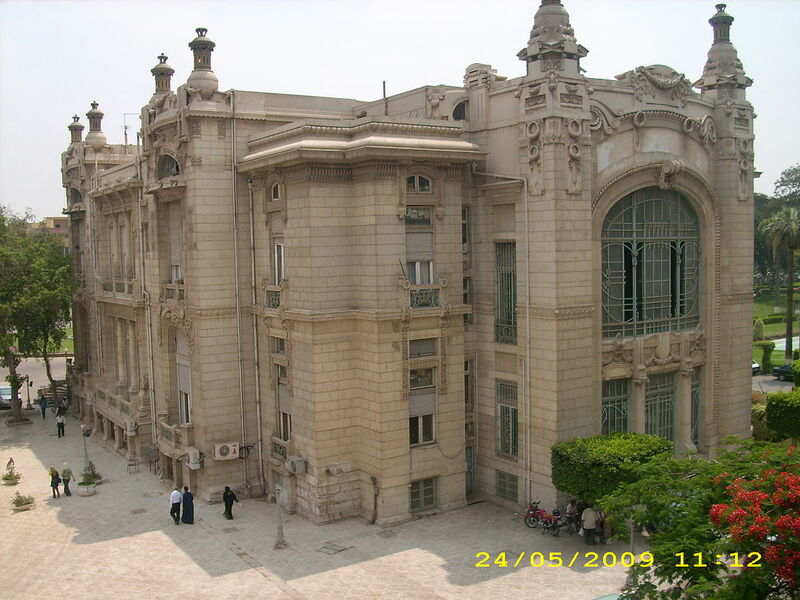 Ain Shams University comprises seven campuses, all of which are sited in Great Cairo. The university administration, faculties of Arts, Law and Science are all located in the main campus, El-khalifa El Mamoon Street, Abassia. The faculties of Commerce, Al-Alsun (languages), Pharmacy, Dentistry, Computer and Information Sciences, Institute of Postgraduate Childhood and Institute of Environmental Studies and Research, together with the specialized Hospital are located on the second campus on the other side of the aforementioned street. Faculty of Medicine and Faculty of Nursing together with the university hospitals are located in another campus at Abassia. Faculties of Engineering, Specific Education, Education, Women and Agriculture are located each on a separate campus in Abassia, Heliopolis and Shoubra El-Kheima, respectively.